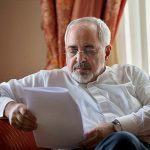 Iran’s foreign minister on Monday released a letter he sent to the U.N. secretary general accusing the U.S. of “a complete disregard for international law” over its withdrawal from the nuclear deal. As you are aware, on 8 May 2018, the President of the United States announced his unilateral and unlawful decision to withdraw from the Joint Comprehensive Plan of Action, in material breach of Security Council Resolution 2231 (2015) to which the JCPOA is annexed. Simultaneously, he signed a Presidential Memorandum instructing relevant U.S. authorities “to cease the participation of the United States in the JCPOA” and “to re-impose all United States sanctions lifted or waived in connection with the JCPOA”, thus committing multiple cases of “significant non-performance” with the JCPOA, and in clear non-compliance with Security Council Resolution 2231. These acts constitute a complete disregard for international law and the United Nations Charter, undermine the principle of peaceful settlement of disputes, endanger multilateralism and its institutions, indicate a regress to the failed and disastrous era of unilateralism, and encourage intransigence and illegality. Unlike the Islamic Republic of Iran, which has scrupulously fulfilled its undertakings under the JCPOA, as repeatedly and consistently verified by the IAEA, the United States has consistently failed – since “implementation day”, and particularly after the assumption of office by President Trump – to abide by its commitments under the JCPOA. I have brought the most significant cases of U.S. non-performance to the attention of the Joint Commission inter alia through 12 official letters to the High Representative of the European Union for Foreign Affairs and Security Policy, in her capacity as Coordinator of the JCPOA Joint Commission. In my letter of 2 September 2016, I registered Iran’s complaints about U.S. failures to perform its obligations eight months after the “implementation day” by not issuing the necessary licenses for the sale or lease of passenger aircrafts, by hindering Iran’s free access to its assets abroad, by obstructing reengagement of the non-American banking and financial community with Iran and by the re-introduction of certain sanctions under Executive Order 13645 that was supposed to be terminated in its totality. That letter also referred to the failure of U.S. President to use his constitutional authority to prevent “the US Visa Waiver Program Improvement and Terrorist Travel Prevention Act of 2015” from violating U.S. obligations under JCPOA. 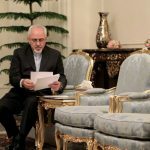 In my letter of 28 March 2017, I protested to the Joint Commission that “Since the assumption of office by the new US Administration, what used to be ‘lackluster’ implementation of the JCPOA by the previous administration has now turned into total and open hostility towards the deal, threatening to render the entire bargain meaningless, unbalanced and unsustainable.” The letter underlined that the Trump Administration had “maliciously intended to prevent normalization of trade with Iran and to deprive Iran from the economic dividends clearly envisaged in the JCPOA, by ensuring continued – and even exacerbated — uncertainty about future of economic relations and cooperation with Iran” inter alia through the illegal “review process” and by “the pattern of provocative statements against the JCPOA by senior US administration officials”. 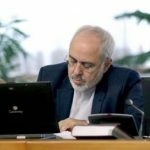 In my letter of 28 May 2017, I brought several instances to the attention of the Joint Commission illustrating that even when the United States purported to comply by renewing the required waivers, “it aimed to reverse Iran’s benefit from the JCPOA… and to ‘call into question the U.S.’s long-term support for the nuclear accord’ in order to increase uncertainty and dissuade engagement with Iran”. In my letter of 13 August 2017, I warned the Joint Commission that United States was destroying the ‘atmosphere’ needed for JCPOA’s ‘successful implementation’ in an exhibition of bad faith. Specifically, I referred to President Trump’s rhetoric and his administration’s distortions — in blatant violation of the letter, spirit and intent of the JCPOA — in order to allege non-compliance by Iran in spite of repeated verifications by the IAEA. In my letter of 19 August 2017, I provided one example of how the United States sought to affect the professional work of the IAEA. While objecting to the U.S. Permanent Representative’s travel to Vienna “to discuss the US government’s concerns about the Iran nuclear deal with the International Atomic Energy Agency” and to “press IAEA on Iran deal compliance”, I insisted that the publicly stated purpose of such visits raises several serious concerns over further violations of the letter and spirit of the JCPOA and the UNSC Resolution 2231, which could also undermine the credibility of the Agency—vital to the non-proliferation regime in general, and the JCPOA in particular. In my letter of 18 September 2017, I informed the Joint Commission that the United States Government was manufacturing fabricated excuses either to get out of the JCPOA outright, or to make it impossible and irrational for Iran to continue its good faith, patient and scrupulous adherence with the agreement. Several facts at that time were indicating that the U.S. was concocting for “Decertification” of Iran’s compliance, in spite of all IAEA reports and U.S. State Department repeated admissions. I underlined in that letter that the U.S. administration cannot hide behind such domestic procedure that it is maliciously initiating itself, and will have to bear full responsibility for the aftermath in Congress. I indicated that “while the Islamic Republic of Iran has a clear preference for the survival and continued scrupulous implementation of the JCPOA, and while it has proven its good faith and exercised maximum restraint in the face of continued and persistent U.S. violations and intransigence, the renowned patience of Iranian people is not limitless, and the options of the Iranian Government are not limited”. In my letter of 16 October 2017, referring to the unlawful decertification within a U.S. domestic procedure on 13 October 2017, I underscored that the United States was actively seeking to deprive Iran of enjoying the benefits of American sanction-lifting obligations under JCPOA. As such they constituted a grave breach of the very letter and substance of Paragraphs 26, 28 and 29 of the JCPOA. 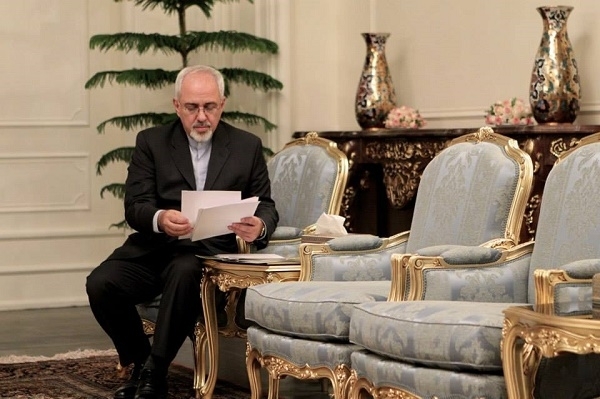 In the same letter, I reiterated that the Islamic Republic of Iran will never accept illegal demands and expects other JCPOA Participants to do likewise. In my letter of 1 February 2018, I officially objected to the ultimatum by President Trump on 12 January 2018, demanding other JCPOA participants to follow him in unlawfully altering the terms of the agreement. I urged other JCPOA Participants to remain cognizant of their shared responsibility to safeguard the agreement by holding the United States accountable for its reckless and unlawful actions, and refraining from any statement or action that may be interpreted as conceding or acquiescing to U.S. attempts to alter, amend or otherwise undermine the JCPOA. In my letter dated today, I specified measures that need to be taken through the Joint Commission to address the wrongful acts by the United States against Iran and international law, including its unlawful withdrawal from the accord and the re-imposition of sanctions. 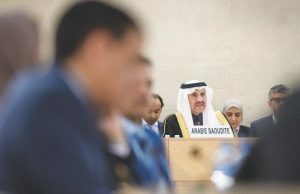 As you have seen from these correspondences, the United States had been persistently violating the terms of the agreement almost from its inception, even preventing other JCPOA Participants from fully performing their obligations. Those violations included systematic failures, late, lackluster, defective, superficial and ineffective nominal implementation, undue delays, new sanctions and designations, derogatory anti-JCPOA statements by senior officials—in particular the President himself, refusal to issue any OFAC license in the past 16 months, as well as concerted efforts by the U.S. government’s agencies and instrumentalities to actively dissuade businesses from engagement with Iran. The unlawful U.S. act of unwarranted withdrawal from the JCPOA renders it responsible for the most blatant material breach of its obligations under the agreement. 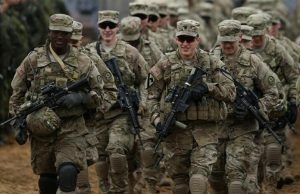 The U.S. has also flagrantly violated UNSC resolution 2231, which was sponsored inter alia by the United States itself and adopted unanimously by the Council. 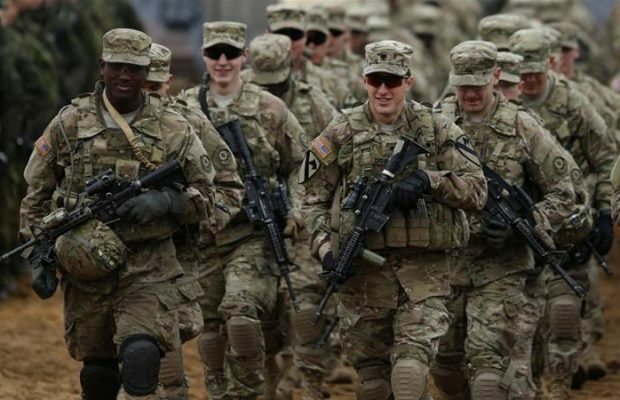 The United States must, therefore, be held accountable for the consequences of its reckless and wrongful act that flies in the face of the United Nations Charter and international law. The prolonged and multiple cases of significance non-performance by the U.S. over the last three years—particularly in the last 16 months, its active obstruction of performance by other JCPOA participants, its bad faith nominal implementation, and its unlawful and unwarranted cessation of implementation of its commitments under the JCPOA and the official re-imposition of unlawful sanctions have caused irreparable harm to Iran and its international business relations. The United States should be held responsible for these damages, and the Iranian nation must be compensated. The JCPOA is a multi-party agreement based on reciprocity. Its scope, provisions and timeframes are based on a delicate, negotiated and multilaterally-accepted balance that cannot be widened, altered or renegotiated. Its benefits to the Iranian people cannot be subjected to any conditionality other than those nuclear-related voluntary measures specifically stipulated solely in the JCPOA and its annexes. Some of the most significant economic benefits to Iran from the JCPOA drive from the sanctions-lifting obligation of the United States. If JCPOA is to survive, the remaining JCPOA Participants and the international community need to fully ensure that Iran is compensated unconditionally through appropriate national, regional and global measures. The Islamic Republic of Iran has been in full compliance with its commitments under the JCPOA. This fact has been repeatedly verified by the IAEA, as reflected in its Director-General’s reports to the IAEA Board of Governors and the UN Security Council since “implementation day” in January of 2016. 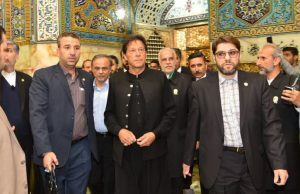 In line with Iran’s commitment to legality and the peaceful resolution of international disputes, the Islamic Republic of Iran has decided to resort to the JCPOA mechanism in good faith to find solutions in order to rectify the United States’ multiple cases of significant non-performance and its unlawful withdrawal, and to determine whether and how the remaining JCPOA Participants and other economic partners can ensure the full benefits that the Iranian people are entitled to derive from this global diplomatic achievement. If, after the exhaustion of available remedies, our people’s rights and benefits are not fully compensated, it is Iran’s unquestionable right – recognized also under the JCPOA and UNSCR 2231 — to take appropriate action in response to persistent, numerous unlawful acts by the U.S.; particularly its withdrawal and re-imposition of all sanctions. 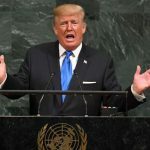 I urge the United Nations to keep the United States accountable for its unilateral and irresponsible conduct which will detrimentally affect the rule of law, multilateralism, and the very foundations of diplomacy. I will be grateful if this letter is circulated as a document of the General Assembly and of the Security Council.